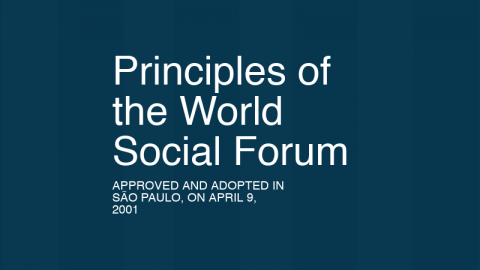 The World Social Forum of Migrations (WSFF) is derived from the World Social Forum, thought as a permanent, horizontal and decentralized construction process, assuming organizational principles such as autonomy, self-management and self-sufficiency. It is a meeting space for unity in diversity, recognition among people, collectives and movements to make visible, strengthen and articulate different groups and anti-systemic struggles, linked in their being and feeling migratory. 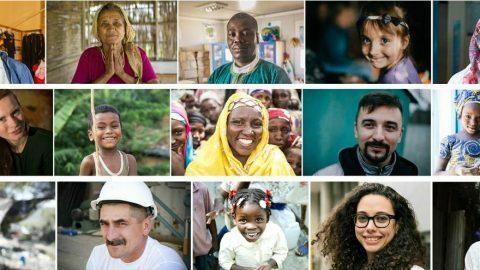 The World Social Forum of Migration seeks to build a new vision of migration, detonate change and promote inclusion, respect, equality, recognition and appreciation of differences. We seek to build a social process in favor of the defense of the rights of migrants and their families that incorporates them in the discussion of their needs and expectations and solutions, while strengthening the dialogues between social networks and migrants, while being capable of influencing public policy decisions to do politics in another way, not from the power down but from the resistance up, from the people themselves and their vision of how to confront the very same reality they live and makes them migrate. From this space called FSMM we make a broad call with migration as the guiding principle, but understanding its impact and scope in other social areas. Since the dawn of time, we have made mobility a possibility to be protagonists of our destinations in order to achieve greater degrees of security and individual and collective solidarity. Migration has always been and will remain consubstantial to international realities, to humanity and to the human being. If yesterday we were displaced by necessity and in search of hope, today inequalities, environmental crises, productive developmentalist, work and new globalized conflicts are added . Today, one out of every seven people on the planet – around 1000 million – is a migrant and experiences the multiple forms of human mobility in a direct or indirect, natural or forced, conscious or unconscious, temporary, punctual, definitive or continually. 750 million internal migrants, 250 million transnational migrants, 65 million forced and refugee displaced persons, the highest figure since the great world wars. In most cases we are workers subjected to conditions of high vulnerability and extreme exploitation, constant discrimination and multiple social exclusion. And yet we have been and are vectors of wealth, of new citizenships, of cultural enrichment and first line in various social struggles. 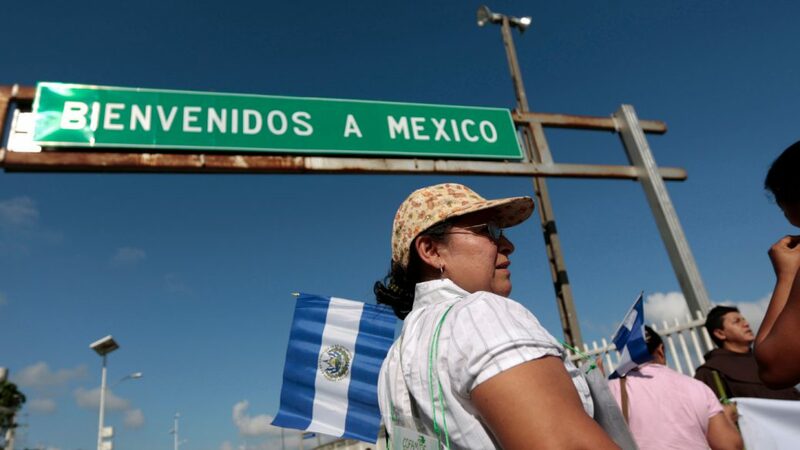 Today, we are direct witnesses that border walls, the exacerbated nationalist identities, the erosion of the right to mobility, the concepts of governance, “regular, orderly and safe migration” and the negation of migration, are all characteristic signs of a world trapped in the perverse circle of their past which surround, separate, and/or kill us. We reject this destructive perspective that, like other issues on the international agenda, does not contemplate the systemic and complex root of the problems. In some way, our movements directly serve as a gauge which is proportional to the degree of instability of the international board. Our migrant struggle is clearly at this crossroad. 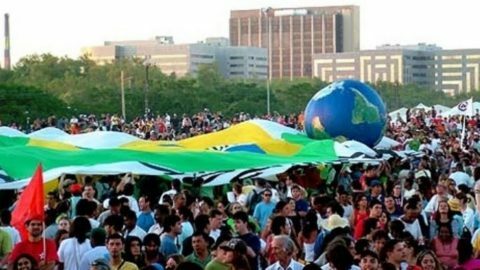 Essentially, it is a struggle to dispute a society and a matrix of positive, legitimate, democratic, non-exclusive globalization, by an integrating vision of the people and the diversity of the world in which all worlds fit. It is in fact a struggle in solidarity and transversal to other ethical, economic, political, environmental, civilizational struggles, both local and global. The year 2018 will undoubtedly be emblematic of human mobility in world events. 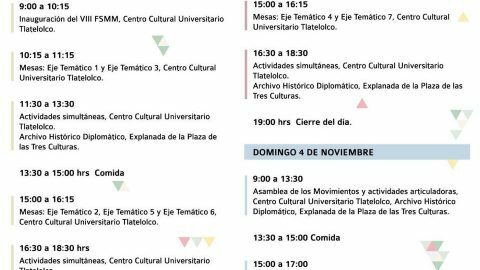 In November of that year, our paths will meet in Mexico: to meet, talk, share and agree. To recognize our brotherhood from our differences; to fight, resist and rebel continuously and collectively against the hydra of capitalism, racism, colonialism and patriarchy. We call for the participation of all people, whether they are migrants or not, who feel accounted for in the principles of the World Social Forum and the World Social Forum on Migration and are willing to fight to build another possible world, without borders and where mobility human being is a free and voluntary option. We invite all of you to know, spread and participate. Because everything and everyone are migration. Before a Global Compact convened by the United Nations Organization, civil society has made it’s voice heard. In all the communiqués resulted by different meetings that follow this process, agreed on the need to overcome the hegemonic perspective of migration policy that proposes a management of migrations “regular, orderly and safe”, by a humanistic vision that allows “host , protect, promote and integrate” migrants, reaffirming human mobility as a right rooted in the essential equality of the human being. 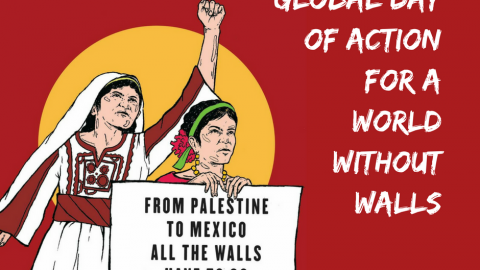 Due to the above, the Technical Secretary of the 8th WSFM México 2018 calls for a submit in Mexico City, on November 2nd, 3rd and 4th of 2018 (Traditionally recognized as the Day of the Dead) for migrants, advocates, representatives, academics and activists from organizations and resistance movements around the world, in order to have face-to-face and/or virtual meetings to coordinate global actions that will be carried out in their respective regions/countries, all within a “Global Migrant Commitment” to jump-start the context of active and combative mobility to a World Day of Resistance for Global Mobility. Human rights, social inclusion, hospitality and mobility. Realities of borders, walls and other barriers. Resistances, actors, movements and collective actions. The systemic crisis of capitalism and its consequences for migration. Migration, the rights of Mother Nature, climate change and North – South disputes. 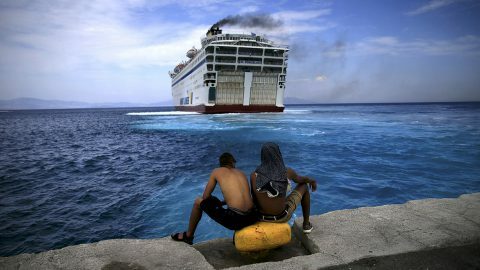 World Social Forum on Migration – 6th Edition¿Dónde están/dove sono/اين هم?